A while back, during my understairs cupboard archive excavation, I found a school exercise book from 1979. This included a late-70s take on ‘the engineering industry‘ (in parts of England) and also this hand drawn effort. I assume the project was ‘draw a poster to advertise York to tourists’. 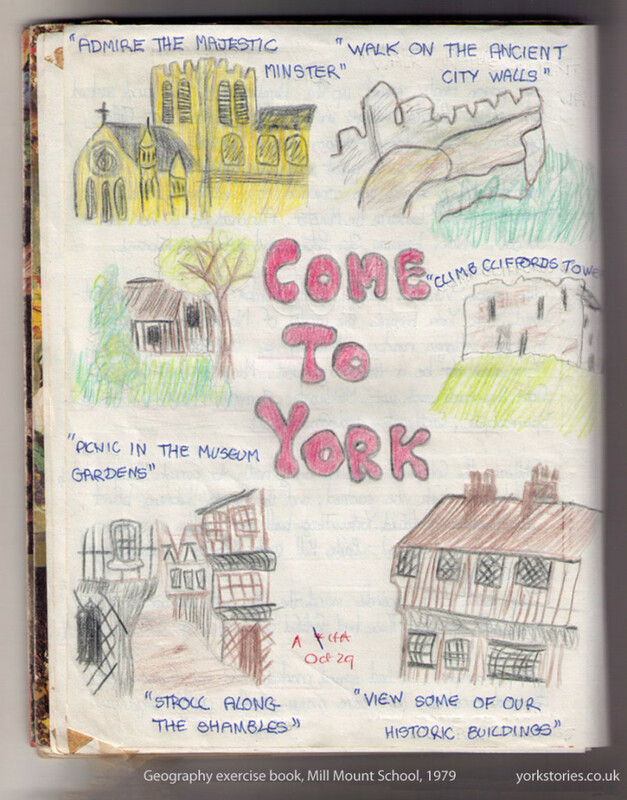 A 12 year old’s view of York’s attractions. As you’d expect really, mainly, though ‘Picnic in the Museum Gardens’ is perhaps a more unexpected highlight. I think I had a thing about the Museum Gardens from quite an early age. Probably because of the peacocks. More on that story later.